This system was visited for the first time on EDSM by Jackie Silver on Apr 18, 2017, 12:47:16 AM. 1113 ships passed through Syreadiae JX-F c0 space, including 7 ships in the last 7 days. 1 ship passed through Syreadiae JX-F c0 space in the last 24 hours. 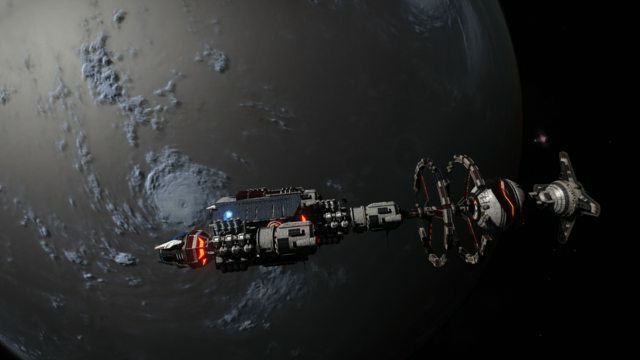 This megaship from the mysterius Dynasty Expedition was found deep within the Formidine Rift on April 17th 3303.